Plugs directly into the existing headlight and taillight. 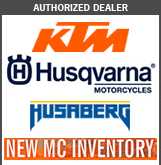 The essentials to make your XCW street legal. Our add on license plate light lets you keep your stock tail light and keeps the cost down. Just plug into your factory connectors and install the accessories. The essentials to make your XCW street legal. Our add on license plate light lets you keep your stock tail light and keeps the cost down. NOTE: This kit does not include a head light or tail light, it uses the factory KTM units that came with your bike. No splicing required! Just plug in the wiring harness to your factory connectors, install accessories, and you are ready to roll. SICASS racing's lighting for the 2014 four stroke Husaberg FE, and 2014-15 Husqvarna FE puts to use the items you already have, the kit plugs directly in to the existing head light and tail light saving you time and money. SICASS racing's dual sport lighting kit with turn signals for the 2014 four stroke Husaberg FE, and 2014-15 Husqvarna FE puts to use the items you already have, the kit plugs directly in to the existing head light and tail light saving you time and money. This kit ties into the existing relay system on the bike and turns off when the relay times out so there is no chance of battery draw when the bike is being stored! SICASS racing's lighting for the 2014-17 TE's puts to use the items you already have, the kit plugs directly in to the existing head light and tail light saving you time and money. SICASS racing's lighting kit with turn signals for the 2014 Husaberg, and 2014-17 Husqvarna TE's puts to use the items you already have, the kit plugs directly in to the existing head light and tail light saving you time and money. This kit ties into the existing relay system on the bike and turns off when the relay times out so there is no chance of battery draw when the bike is being stored! SICASS racing's lighting for the EFI equipped XCW's and TPI XC-W's puts to use the items you already have, the kit plugs directly in to the existing head light and tail light saving you time and money. Clean, simple install without even having to remove the fuel tank. 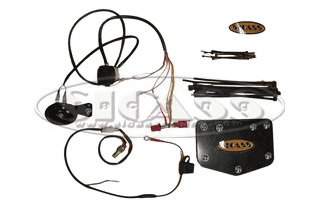 SICASS Racing's lighting kit with turn signals for the EFI equipped XCW's and TPI XC-W's puts to use the items you already have, the kit plugs directly in to the existing head light and tail light saving you time and money. This kit ties into the existing relay system on the bike and turns off when the relay times out so there is no chance of battery draw when the bike is being stored!